Camp IVRT Musical Theatre Workshop will begin its 10th annual summer program this June in Claremont. Children ages 7-13 will have fun while learning basics of acting, singing and movement in a creative, encouraging and affirming atmosphere. The goal is for students to come away with some of the tools needed to audition at local theaters, while developing a love of performing and confidence expressing themselves. PERFORMANCE CAMP students will apply their skills in a fully staged original play with songs from broadway musicals. are you entering 9th grade this fall, or are you a current High School Student interested in being a teaching assistant? Apply here! 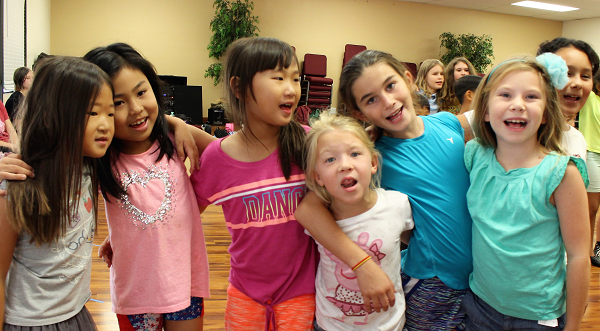 Taught by IVRT Teaching Artists and industry professionals, Camp IVRT's Summer Musical Theater Workshop Program has to date served a total of 254 children. Children ages 7-13 learn acting, improvisation, speaking, singing, and movement and dancing, in a nurturing and creative environment. Thanks to additional funding in 2017 from the City of Claremont, the camp is accessible to more children than ever. High school students may apply to serve as Teaching Assistants to assist with Camp activities and mentor the students.